Smith, Andrew F. “Starving the South,” Repast 27 (Spring 2011): forthcoming. Smith, Andrew F. “Did Hunger Defeat the Confederacy?” North & South (March 2011) 28-44. Smith, Andrew F. “The Transcontinental Railroad and the Nationalization of American Food,” New York Culinary Historians in (Spring 2010): 1, 3-4. Smith, Andrew F. “Peanuts,” entry in Commodities, Culture and History: The Products that Changed the World. New York: Facts on File, forthcoming. Smith, Andrew F. “The Repast is the Future: A Brief History of Food History,” Frontburner; A Newsletter for Members of IACP (May 2010). Smith, Andrew F.“Food Scholarship and Food Writing,” Food, Culture and Society: An International Journal of Multidisciplinary Research 13 (September 2010): 319-329. Smith, Andrew F.“Historical Virtues of the Walnut.” Folsom, CA: California Walnut Board and Commission, 2010. The Making of the Legend of Robert Gibbon Johnson and the Tomato,” New Jersey History 108 (Fall/Winter 1990): 59-74. “Tomato Pills will Cure All Your Ills,” Pharmacy in History 33 (1991): 169- 180. “The History of Home-made Anglo-American Tomato Ketchup,” Petits Propos Culinaires 39 (December 1991): 35-45. “Dr. John Cook Bennett’s Tomato Campaign,” The Old Northwest, 16 (Spring 1992): 61-75. “Authentic Fried Green Tomatoes?” Food History News 4 (Summer 1992): 1- 2 & 6. “The Amazing Archibald Miles and his Miracle Pills: Dr. Miles’ Compound Extract of Tomato,” Queen City Heritage 50 (Summer 1992): 36-48. “The Great Tomato Pill War of the Late 1830s,” The Connecticut Historical Society in 56 (Winter/Spring 1991): 91-107. Bibliography on the Tomato in America to 1860: Annotated and Indexed. New York: The Tomato History and Culture Project, 1993. “Canning and Bottling Tomatoes in Nineteenth-Century America,” Food History News 6 (Summer 1994): 1-2, & 6. “The Early History of the Tomato in Florida,” in C. S. Vavrina, ed., Proceedings of the Florida Tomato Institute [Immokalee, Florida]: University of Florida, Horticultural Sciences Department, Institute of Food and Agricultural, 1994. 123-133. “Early American Tomato Varieties,” Off the Vine 1 (1994): 1 & 6. “The Early History of the Tomato in South Carolina,” Carologue 11 (Summer 1995): 8-11. “Dr. Strangepills or How New Englanders Learned to Stop Worrying and Love the Tomato,” Yankee Magazine (August 1995): 70-73. “Playing Ketchup,” Collector Magazine & Price Guide (July 1995): 21. “Mr. Heinz–How Buying One Ketchup Bottle Led Ed and Sarah Lehew to Amass the World’s Largest Heinz Collection,” The Antique Trader Weekly (November 1, 1995): 85-86. “Tomato Pills, Will Cure All Your Ills [A Historic Account],” The Tomato Club 4 (May/June 1996): 5-6. “Alexander Livingston and the Tomato,” Off The Vine 3 (#1, 1996): 5-7. “Ketchup: America’s New Hot Condiment,” Chile Pepper (July/August 1996): 30-33. “A True History of Popcorn,” Culinary Historians of New York 10 (Fall 1996): 1, 7. “A True History of True Popcorn,” Culinary Historians 12 (Fall 1996): 4-5. “How the Tomato Became America’s First Food Fad,” Food for Thought 7 (Fall 1996): 1, 3-4. “The Culinary Historian as Detective: The Case of Who Really Ate the First Tomato in America,” The International Cookbook Revue 1, #5 (1996): 73-74. “The Tomato Pill War and the Introduction of the Tomato into New England,” as in Peter Benes, ed. The Dublin Seminar for New England Folklife Annual Proceedings 1995: Plants and People. Boston: Boston University, 1996. “From Garum to Ketchup: A Spicy Tale of Two Fishy Sauces.” A paper prepared for the 1997 Oxford Symposium on Food and Cookery, “Fish: Food from the Waters,” Saint Antony’s College, Oxford, July 18-20, 1997. “Collecting the Literature of Culinary History.” AB Bookman’s Weekly 100 (August 4, 1997): 249-250, 252, 254. “Catch Up with Gourmet Ketchup!” Global Gourmet 2 (Summer 1997): 4. “The Popcorn Polka: or, How Maize Popped into the American Mainstream,” Petits Propos Culinaires 56 (September 1997): 16-22. “You Say Tomato,” letter to the editor, Our State: Down Home in North Carolina 65 (October 1997): 6-7. “A Tomato by Any Other Name,” Tomato Magazine 1 (October 1997): 15 & 22. “Everything You Wanted to Know About Culinary History, But Didn’t Have the Time to Find Out,” Culinary Historians of Boston Newsletter 18 (November 1997): 11-17. “Of Popcorn and Pilgrims,” letter to the editor, The New York Times, November 30, 1997, Week in Review, p. 9. “Catching Up with Ketchup,” Tomato Magazine 2 (January 1998): 15-16. “From Garum to Ketchup: A Spicy Tale of Two Fishy Sauces,” in Harlan Walker, ed. Fish: Food from the Waters; Proceedings of the Oxford Symposium on Food and Cookery, 1997. Devon, United Kingdom: Prospect Books, 1998. “Everything You Wanted to Know about Culinary History Books, But Didn’t Have the Time to Find Out,” ChowLine 2 (March 1998): 2-5. “The Introduction of Popcorn into America,” ChowLine 2 (March 1998): 6. “Forward,” in Margie Lapanja, Goddess in the Kitchen: 201 Heavenly Recipes, Spirited Stories & Saucy Secrets. Berkeley, California: Conari Press, 1998. “Romancing the Spirits: or, Imbibing in Alcoholic Books,” AB Bookman’s Weekly 102 (August 10, 1998): 253-54, 256, 258. “The Old Saw about Pilgrims and Popcorn,” Food History News 10 (1999): 1, 8-9. “In Praise of Maize: The Rise and Fall of Corny Poetry,” in Harlan Walker, ed., Food in the Arts, Proceedings of the Oxford Symposium on Food and Cookery 1998. Devon, United Kingdom: Prospect Books, 1999. 194-205. “Tacos, Enchiladas and Refried Beans: The Invention of Mexican-American Cookery,” in Mary Wallace Kelsey and ZoeAnn Holmes, eds., Cultural and Historical Aspects of Foods. Corvallis: Oregon State University, 1999. pp. 183-203. “The Origins of the New York Dairy Industry,” in Harlan Walker, ed. Milk: Beyond the Dairy. Devon, United Kingdom: Prospect Books, 2000. “Barbecue,” in Margie Lapanja, Food Men Love. Berkeley, California: Conari Press, 2000. “Get Your Peanuts, Popcorn, and Cracker Jack Here!” Prize Insider 6 (June 15, 1999): 1, 3. “‘Get Your Peanuts, Popcorn, and Cracker Jack Here!’ The Invention and Globalization of American Snack Food,” paper accepted for the joint annual meetings of the Agriculture, Food and Human Values Society (AFHVS), the Association for the Study of Food and Society (ASFS), and the Food Choice Group, which met jointly from June 3-6 1999 at Ryerson Polytechnic University, Toronto, Ontario, Canada..
“Collecting Cookbooklets,” AB Bookman’s Weekly 104 (August 2, 1999): 137- 138, 140, 142. “Advertising and Promotional Cookbooks,” The Cookbook Collectors’ Exchange (September/October 1999): 5-9. “Dr. David Ransom’s Family Receipt Books,” The Cookbook Collectors’ Exchange (November/December 1999): 13-14. “The History of Soup,” Chow Line 4 (February 2000): 3-5. “Peanuts, Popcorn, Cracker Jack: The Origin of American Commercial Snack Food,” Radcliffe Culinary Times 10 (Spring 2000): 3, 12. “The Most Popular 19th Century American Cookbook,” The Cookbook Collectors’ Exchange (March/April/May 2000): 3, 8-10. “Feeding the Urban Masses: Soup Kitchens, Street Vendors, Cafeterias, and Fast Food,” paper delivered at the “Millennial Stews” conference sponsored by the Agriculture, Food and Human Values Society (AFHVS), the Association for the Study of Food and Society (ASFS), and the Food Choice Group, which met jointly from June 1-3, 2000 at New York University. “Peanut Butter: A Vegetarian Food that Went Awry,” Petits Propos Culinaires # 65 (September 2000): 60-72. “Tomatoes, Peanuts and Okra: The African-American Influence on Mainstream American Cookery,” paper delivered at the “Grits and Greens Conference” held June 23, 2000, at the Chicago Historical Conference. Accepted for publication in Bruce Kraig, ed., Soul Food. Urbana: University of Illinois Press, forthcoming. “False Memories: The Invention of Culinary Fakelore and Food Fallacies,” in Harlan Walker, ed., Proceedings of the Oxford Symposium on Food and Cookery 2000. Devon, United Kingdom: Prospect Books, 2001. Entries on tomatoes, cookbooks, Harrison Crosby, and the Campbell Soup Company in the Encyclopedia of New Jersey. New Brunswick, New Jersey: Rutgers University Press, 2004. Sol Katz, ed., The Encyclopedia of Food. New York: Scribner’s, 2003. Entries on condiments, tomatoes, soup, nuts, peanut butter, microwave ovens, hamburger, chicken soup, popcorn, and John Harvey Kellogg. “Culinary History: Toward a Conceptualization,” in A. Lynn Martin and Barbara Santich, eds. Culinary History. Brompton, SA, Australia: East Street Publications, 2004. “Foreword,” in Margie Lapanja’s Romancing the Stove: Celebrated Recipes and Delicious Fun for Every Kitchen Goddess. Berkeley, California: Conari Press, 2002. Smith, Andrew F. Editor in Chief, Oxford Encyclopedia of Food and Drink in America. New York: Oxford University Press, 2004. Writer of many entries, including histories of: Advertising Cookbooks, Artichokes, Avocados, Bloody Mary, Bread, Cabbage, Cauliflower, California Food, Canning, Celery, Chocolate, Colonial Food, Condiments, Corn Chips, Countercultural Food, Crackerjack, Crackers, Dips, Ducks, Freezing and Freezers, French Culinary Influence in America, Fowl/Poultry, French Fries, Game, Geese, Grocery Stores, Grog, Historiography, Jerusalem Artichokes, Kool-aid, Lettuce, Margarita, Mason Jars, Mayonnaise, Microwave Ovens, Nutrition, Mustard, Nuts, Oats, Peanuts, Okra, Pineapple, Popcorn, Rice, Salads and Salad Dressings, Sandwiches, Snacks, Stoves and Ovens, Soups and Stews, Soy Sauce, Taco Bell, Tomatoes, Tuna, Turkey, Vanilla, Watermelon, and Wild Rice; histories of culinary icons and myths, such as Campbell Soup Kids, Robert Gibbon Johnson and the Tomato, Mr. Peanut, and Ronald McDonald; corporate histories of Campbell’s Soup, Del Monte, Frito-Lay, H. J. Heinz Company, Hunt’s, McDonald’s; and biographies on Katherine Bitting, George Washington Carver, John Harvey Kellogg, Ray Kroc, and Orville Redenbacher. “The First Thanksgiving,” Gastronomica. (Fall 2003): 79-85. Commercial Nurturing: The Culinary Education of America’s Youth,” in Richard Hoskings, ed., Proceedings of the Oxford Symposium on Food and Cookery 2003. Devon, United Kingdom: Prospect Books, 2004. Smith, Andrew F. “The Rise and Fall of the Wild Turkey,” in Richard Hosking, ed., Wild Food. Proceedings of the Oxford Symposium on Food & Cookery, 2004. Bristol: Footwork, 2006. pp. 291-302. “A Taste of California,” Tastings (Fall 2004): 1, 4-5. The Civil War and American Food, or How Nationalized, Industrialized American Cookery Got its Start,” The Food Journal 5 (Winter 2005): 4-5. “The Rise and Fall of the Wild Turkey,” in Richard Hosking, ed., Wild Food. Proceedings of the Oxford Symposium on Food & Cookery, 2004. Bristol: Footwork, 2006. pp. 291-302. 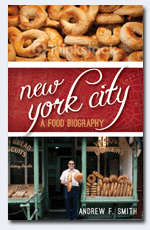 “A Tribute to Karen Hess,” Culinary Historians of New York (Spring 2005): 6-7. “Food-borne Illness Crisis in America,” in Sarah R. Labensky and Alan M. Hause, eds., On Cooking. 4th edition. Upper Saddle River, New Jersey: Prentice Hall, forthcoming. “The French Culinary Influence in America since World War II,” in François Lagarde, ed. The French in America, forthcoming. “Review of ‘Sabine Eiche’s Presenting the Turkey,’” Gastronomica, 6 (Summer 2006): 104. 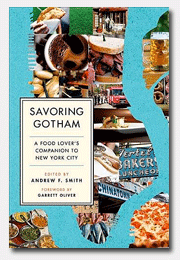 Smith, Andrew F., editor in chief, The Oxford Companion to Food and Drink In America. New York: Oxford University Press, forthcoming. In addition to the entries in the OEFDA, the following entries were added: A&W Root Beer; AFC Enterprises; Arby’s; Baby Ruth; Baskin-Robbins; Ben and Jerry’s; Big Boy; Blimpie International, Inc.; Boston Market; Breyers; Burrito; Butterfinger; Cadbury Schweppes; California Pizza Kitchen; Carl’s Jr.; Carvel Corporation; Chicken McNuggets; Chuck E. Cheese; Church’s Chicken; Convenience stores; Dairy Queen; Domino’s; Dunkin’ Donuts; Famous Amos; Fish and Chips; Fondue; Franchising; Frog’s Legs; Girl Scout Cookies; Good & Plenty; Good Humor; Gum (chewing); Gummi/Gummy Candy; Häagen-Dazs; Hardee’s; Hires Root Beer; Hostess; In ‘N Out Burger; International Association of Culinary Professionals; Jack in the Box; Jelly Bean; Just Born; Carl N. Karcher; Keebler; Klondike Bar; Little Caesar’s; McDonaldization; Melba Toast; Milky Way; Moon Pie; Mrs. Fields Cookies; Mulligan Stew; Nathan’s Famous; New England Confectionary Company (NECCO); Onion Rings; Oreos; Oscar Mayer; Peach Melba; Pepperidge Farms; Peter Paul Candy Company; Popeyes; Popsicle; Reese’s Peanut Butter Cup; Roy Rogers; Royal Crown Cola; Sbarro; Shakey’s; Smorgasbord; Snickers; Sonic; Submarine Sandwiches; Subway; Tacos; Tastee-Freez; Dave Thomas; Tombstone Pizza; Tootsie Roll; Venison; Alice Waters; Wienerschnitzel; Yum! Brands, Inc.
“New York Food and Drink to 1898,” in Annie H. Lawson and Jon Deutsch, eds., A Taste of New York. New York: Columbia University Press, forthcoming. “How Cal-Mex Restauranteurs Reinvented Mexican Food and Conquered America,” Culinary R&D, Supplement to Nation’s Restaurant News 5 (October 2006): 14 & 16; and Profile of Chef Roberto Juarez, p. 22. “Follow Your Curiosity,” in Irene Chalmers, Food Jobs: The Complete Guide to Careers in the Culinary World. New York: Clarkson-Potter, forthcoming. “Turkey Eggs,” in Richard Hosking, ed., Eggs. Proceedings of the Oxford Symposium on Food & Cookery, 2006. Bristol: Footwork, 2007. Ken Albala and Gary Allen, eds., The Business of Food: The Encyclopedia of the Food Industry. Westport, Connecticut: Greenwood Press, 2007. Entries on Campbell’s Soup, Canning, Condiments, Corn, Franchises, Hunt’s, Keebler, McDonald’s, Obesity, Peanut Butter, Poultry Industry, Refrigeration, Sara Lee, Snack Foods, Soft Drinks, Supermarkets, Swanson, Swift, TV Dinners, Uncle Ben’s. Smith, Andrew F. “Marketing Junk Food to Children,” in Richard Hosking, ed., Food and Morality, Proceedings of the Oxford Symposium on Food & Cookery, 2007. Devon: Prospect Books, forthcoming. Smith, Andrew F. “Getting Saucy,” Martha Stewart Living (November 2007): 104-108. 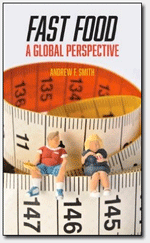 Smith, Andrew F. “Food in the United States,” in Peter N. Stearns, ed., Oxford Encyclopedia of the Modern World. New York: Oxford University Press, 2008. Smith, Andrew F. “Object Lesson: Teapots,” Martha Stewart Living (May 2008): 53-4. Temperance Cola; Henry Crowell’s Quaker Special; Wilbur O. Atwater’s Calorimeter; The Cracker Jack Snack; Fannie Farmer’s Cookbook; The Kelloggs’s Corn Flakes; Upton Sinclair’s Jungle; Frozen Seafood and TV Dinners; Michael Cullen’s Super Market; Earle MacAusland’s Gourmet; Jerome I. Rodale’s Organic Gardening; Percy Spencer’s Radar; Frances Roth’s and Katharine Angell’s CIA; McDonalds’ Drive-In; Julia Child, The French Chef; Jean Nidetch’s Diet; Alice Waters’s Chez Panisse; TVFN; The Flavr Savr; Mergers, Acquisitions, and Spinoffs. Smith, Andrew F. “A Seaside Tradition; A Longtime Beach-Town Favorite, Saltwater Taffy has a History that’s as Varied as its Flavors,” Martha Stewart Living (August 2008): 66-70. Smith, Andrew F. “The First Suppers: a Tradition of Inaugural Meals,” Los Angeles Times, January 14, 2009, p. C1Smith, Andrew F. “Object Lesson: Teapots,” Martha Stewart Living (May 2008): 53-4. Smith, Andrew F., and Shelley Boyd. “Talking Turkey: Thanksgiving in Canada and the U.S.,” in Nathalie Cooke, ed., What’s to Eat; Entrées in Canadian Food History. Montrea144. McGill-Queens University Press, 2009. pp. Smith, Andrew F. “Lunch Counter Legend,” Saveur (September 2009): 59. Smith, Andrew F. “Preface,” in Veronica Sidu, Menus and Memories from Punjab: Meals to Nourish Body and Soul. New York: Hippocrene Books, 2009. “Artemas Ward,“ in Alice Arndt, ed., Culinary Biographies. Houston: Yes Press, 2006. “Bob Brown,“ in Alice Arndt, ed., Culinary Biographies. Houston: Yes Press, 2006. “Justus von Liebig,“ in Alice Arndt, ed., Culinary Biographies. Houston: Yes Press, 2006. “Cesár Ritz,“ in Alice Arndt, ed., Culinary Biographies. Houston: Yes Press, 2006. “André Simon,“ in Alice Arndt, ed., Culinary Biographies. Houston: Yes Press, 2006. “Lafcadio Hearn,“ in Alice Arndt, ed., Culinary Biographies. Houston: Yes Press, 2006. Ray Kroc, in the Encyclopedia of Junk Food and Fast Food. Westport, Connecticut: Greenwood Press, 2006. Harland Sanders, in the Encyclopedia of Junk Food and Fast Food. Westport, Connecticut: Greenwood Press, forthcoming. Milton S. Hershey, in the Encyclopedia of Junk Food and Fast Food. Westport, Connecticut: Greenwood Press, 2006. Mike Ilitch, in the Encyclopedia of Junk Food and Fast Food. Westport, Connecticut: Greenwood Press, 2006. Carl N. Karcher, in the Encyclopedia of Junk Food and Fast Food. Westport, Connecticut: Greenwood Press, 2006. Frank Mars, in the Encyclopedia of Junk Food and Fast Food. Westport, Connecticut: Greenwood Press, 2006. Orville Redenbacher, in the Encyclopedia of Junk Food and Fast Food. Westport, Connecticut: Greenwood Press, 2006. Dave Thomas, in the Encyclopedia of Junk Food and Fast Food. Westport, Connecticut: Greenwood Press, 2006. Alice Waters, in the Oxford Companion to American Food and Drink. New York: Oxford University Press, 2007. “‘The Diploma Pedler’: Dr. John Cook Bennett and Christian College at New Albany, Indiana,” Indiana Magazine of History 90 (March 1994): 26-47. Alexander Livingston, in the preface to Livingston and the Tomato with a Preface and Appendix by Andrew F. Smith. Columbus: Ohio State University Press, 1998. “Dr. David Ransom 1817 NY-1872 NY D. Ransom, Son & Co., Ransom Family Receipt Books,” in Ransom Researcher 28 (December 1999): 684-688. Estelle Woods Wilcox, in the introduction to Centennial Buckeye Cook Book. Columbus: Ohio State University Press, 2000. “John Cook Bennett,” chapter in Michael Winder, comp., Counselors to the Prophets First Presidency. Roy, Utah: Eborn Books, 2001. Pp. 81-90. “John Harvey Kellogg,” in Sol Katz, ed., The Encyclopedia of Food. New York: Scribner’s, 2002. “Harrison W. Crosby,” in Encyclopedia of New Jersey. New Brunswick, New Jersey: Rutgers University Press, forthcoming. “Katherine Bitting,” in Oxford Encyclopedia of American Food and Drink New York: Oxford University Press, 2004. “George Washington Carver,” in Oxford Encyclopedia of American Food and Drink New York: Oxford University Press, 2004. “John Harvey Kellogg,” in Oxford Encyclopedia of American Food and Drink New York: Oxford University Press, 2004. “Ray Kroc.“ in Oxford Encyclopedia of American Food and Drink New York: Oxford University Press, 2004. “Orville Redenbacher,” in Oxford Encyclopedia of American Food and Drink New York: Oxford University Press, 2004. Oliver Evans, in Eating History: Thirty Events that Shape What Americans Eat Today. New York: Columbia University Press. Cyrus McCormack, in Eating History: Thirty Events that Shape What Americans Eat Today. New York: Columbia University Press. Sylvester Graham, in Eating History: Thirty Events that Shape What Americans Eat Today. New York: Columbia University Press, scheduled for publication Spring 2009. Gail Borden, in Eating History: Thirty Events that Shape What Americans Eat Today. New York: Columbia University Press. Henry Crowell, in Eating History: Thirty Events that Shape What Americans Eat Today. New York: Columbia University Press. Wilbur O. Atwater, in Eating History: Thirty Events that Shape What Americans Eat Today. New York: Columbia University Press. John and Will Kellogg, in Eating History: Thirty Events that Shape What Americans Eat Today. New York: Columbia University Press. Upton Sinclair, in Eating History: Thirty Events that Shape What Americans Eat Today. New York: Columbia University Press. Michael Cullen, in Eating History: Thirty Events that Shape What Americans Eat Today. New York: Columbia University Press. Jerome I. Rodale, in Eating History: Thirty Events that Shape What Americans Eat Today. New York: Columbia University Press. Earle MacAusland, in Eating History: Thirty Events that Shape What Americans Eat Today. New York: Columbia University Press. Percy Spencer, in Eating History: Thirty Events that Shape What Americans Eat Today. New York: Columbia University Press. Julia Child, in Eating History: Thirty Events that Shape What Americans Eat Today. New York: Columbia University Press. 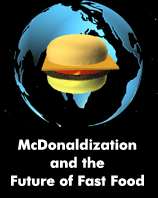 Ray Kroc, in Eating History: Thirty Events that Shape What Americans Eat Today. New York: Columbia University Press. Fannie Farmer, in Eating History: Thirty Events that Shape What Americans Eat Today. New York: Columbia University Press. Jean Neditch, in Eating History: Thirty Events that Shape What Americans Eat Today. New York: Columbia University Press. Alice Waters, in Eating History: Thirty Events that Shape What Americans Eat Today. New York: Columbia University Press.